s a member of the vaunted (yes and cynical) Generation-X, I’ve got to just roll my eyes once more….. Millennials are doing precisely what the generations before have done as youth – not voted as a block….at least – not for long. But if there is really a block here to be won (and – let’s be clear – there isn’t), it would be easy to take yesteryear successes and use ’em again. We need more IT staffers (like me!) to explore service industries like software development or network engineering. And offering a bit of money for vocational training here (alongside some success stories) would really go a long way toward making up for lost ground on the FPP voting fiasco. Trudeau, God bless him, should’ve known better than to try saying “well we tried, but you know in government – you can’t always do what you thought you could before being elected” routine. Even if you believe it, it’s kind of a crappy reason to go back to the public with. The real worry I have isn’t the loss of some fictionalized Millennial solidarity. It’s the potential for cross-demographic populism and fascism to take hold in this country! And while O’Leary isn’t Trump, maybe the best we can hope for it the short term is that fascism will pass us by and that Trudeau’s over-promise, under-deliver showing so far somehow reverses itself the more experience he gets as our Prime Minister. I’m about the same age as he is – but it’s obvious to me while he might be better at leading the country than I’d be….his father he is not. And there is plenty for him to learn yet! More to follow on this story in the days ahead….stay tuned! 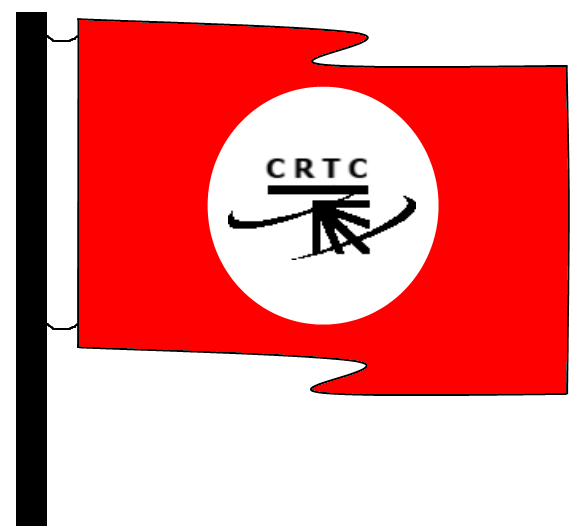 The Canadian Radio-Television and Communications Commission (CRTC) has recently been criticized for making rulings which overtly favour the larger Internet service providers and owners of service infrastructure (which in Canada are one and the same); leaving smaller Internet companies at a competitive disadvantage. Proponents argue that other services, such as conventional utilities, offer such metered service in the same way and that Internet access should be no different since the amount of network traffic is really what drives infrastructure costs for service carriers. But consumer advocates and smaller Internet companies, including smaller Internet access providers who are already forced to pay larger carriers like Bell Canada and Rogers Communications for the bandwidth they effectively resell to their customers argue that mandating metered or usage-based access inevitably makes access more expensive, and thus limiting their options in terms of the service bundles smaller service providers can offer. The small Internet companies say that this is actually the real aim of of the new rules being advocated by the larger carriers: to eliminate them from the market altogether creating a near-monopoly. But it does seem to fit the pattern of decision-making exhibited by the CRTC. I can’t think of a single ruling in the past 10 years that has favoured either the consumer or the ideal of improved competition. To answer the lead question of my article superficially; the CRTC regulates not only radio-frequency and wireless technology (who can transmit on what frequency), but also who can have access to property to install infrastructure such as cable or phone lines and under what terms. And it’s precisely because they regulate the infrastructure, they also get to regulate the rates consumers pay for those services. But small Internet companies are distantly removed from any of this, yet their business models are directly impacted when the CRTC and extends its mandate into the world of how much data transmitted over the infrastructure should cost. But it’s been decades since that infrastructure was laid down and while it is still maintained today and rights of access and other practical concerns need regulation, it’s really hard to see what business the CRTC has in dictating what pricing model a small Internet service can offer its customers. Yet that’s precisely what it’s doing today. And so the time has come perhaps to review the CRTC’s role and, in fact, limit its ability to regulate in the area of data and Internet. These newer technologies simply don’t need a regulatory body to involve itself the way the CRTC does and it should be explicitly prohibited from having any say in how the industry is run. It should enforce the right of access to subsidiary carriers to all services which are part of its mandate – for those services exist by virtue of government regulation. But beyond that, there’s simply no need that I can see for them to be involved. Here’s hoping the upcoming review uncovers this obvious truth and that the Conservative government decides to take a common-sense approach to ensuring consumers are protected and the market remains healthy and competitive.